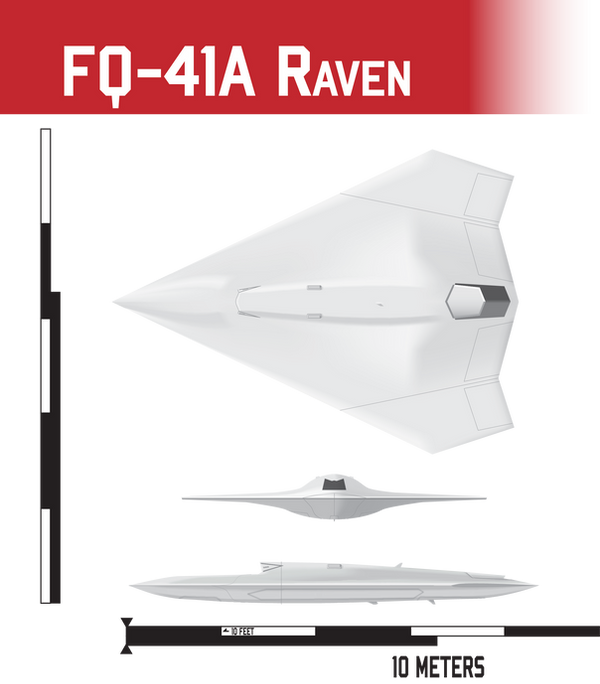 The F/Q-41A Raven was designed with the intention of augmenting fighter-pilots; while it can serve as a ground-attack aircraft, it excels at staying on-station and launching missiles in support of fighter pilots performing more close-range dogfights. The Raven lacks the ability to perform more of the complex maneuvers on it's own, save for those pre-programmed, though it can be flown by an individual pilot. To augment forces further, specifically aircraft carriers, the Raven can be loaded into storage racks to allow for stacking the fighters four high, with the potential of adding an additional 20%, give or take for hangar-bay design, to a carrier's aircraft capacity. 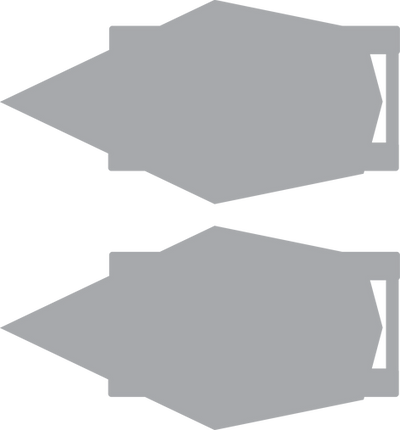 More complex loading racks allow for stacking Ravens in the overhead along nearly the entirety of the hangar bay, giving an additional boost in numbers. With automatic landing, taxiing, and flight systems, coordinating with a carrier's own landing systems speeds the process of catapult launches and traps, meaning that more Ravens can be fielded at a time than with typical fighters, allowing them to be cycled through faster. What the Raven lacks in firepower, it makes up for in range and serviceability. Without an on-board pilot more room is made fuel and it's small size allows it to be easily hoisted for maintenance. Last edited by Pharthan on Tue Nov 25, 2014 5:20 am, edited 6 times in total. Survivability in warfare is key, and attack aircraft suffer some of the heaviest losses. Enter the Hawk: a remotely operated Unmanned Aerial Vehicle, the first of it's kind to employ heavy firepower in a small attack aircraft capable of multiple roles, including COIN, Ground Attack, and Reconnaissance. 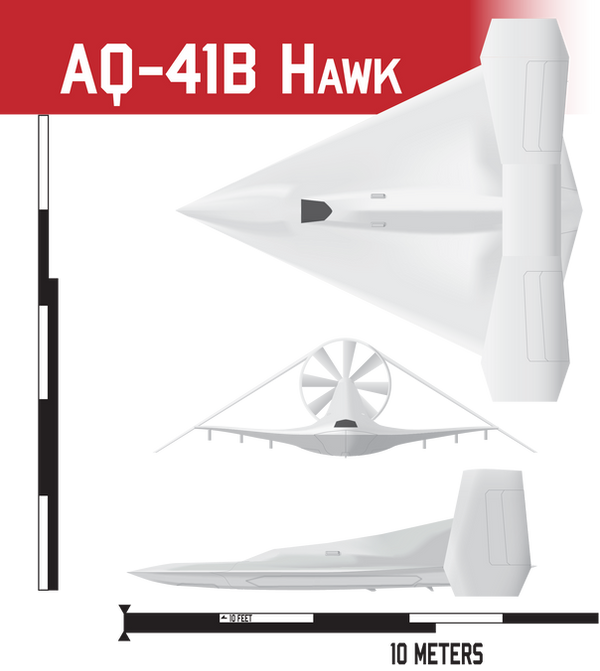 The AQ-41B Hawk is the Counter-Insurgency (COIN)/Attack Aircraft for the 21st Century. It is intentionally designed without an internal gun to reduce weight for standard attack and reconnaissance missions, allowing it to maintain a much longer stay-time and boost it's range. The modern armored vehicle can withstand heavier guns which would normally be mounted on such an attack aircraft, and foregoing such a weapon like the 30mm GAU-8 allows for a heavier missile-bomb payload more adequately suited to vehicle-attack missions. The Hawk utilizes a push-engine, favoring over a puller-style. The push-propeller allows for forward mounted avionics where they are ideally suited, a shorter drive-train, and reduces aerodynamic issues involved with a puller engine. 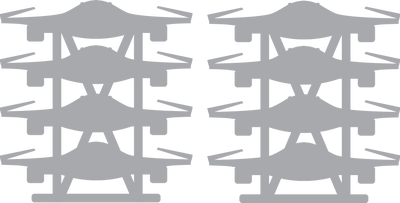 It is top-mounted to reduce radar signature from below, as well as noise. Last edited by Pharthan on Tue Nov 25, 2014 5:18 am, edited 8 times in total.